Ever worry about raising the ire of your neighborhood barista by ordering your coffee wrong? If anyone knows the proper etiquette for ordering a cup of house-roasted pour-over, it’s people from Portland. 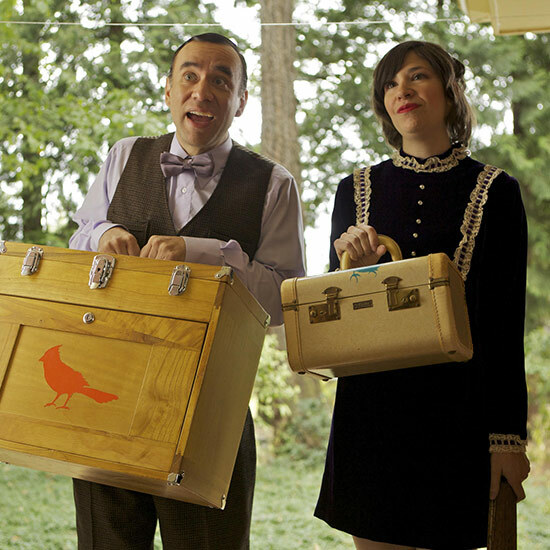 And the very unofficial spokespeople for PDX, Fred Armisen and Carrie Brownstein of Portlandia, stopped by Dan Pashman’s Cooking Channel show, You’re Eating It Wrong, to give their coffeehouse tips.